Readers’ Corner: Can My Doctor Get Into Big Legal Trouble by Offering Natural Health Treatments? A reader asks an important question about the laws threatening integrative doctors. We lay it all out. I continually hear physicians say (at conferences) that it is illegal for them to treat patients with natural means (diet and supplements), and that in California and other states, it is illegal to treat cancer other than with chemo, surgery, and radiation. I have been unable to locate the regulations which prohibit this and if I am going to mention this in my lectures, I need to be able to cite the actual legal regulations. David, we’ll be in touch with you privately over the specific laws you might wish to cite in your lectures. But for this newsletter (and for our other readers), here’s an overview of why natural health doctors and producers are under constant legal threat. Whether for reasons of conviction or crony capitalism, the government is heavily biased in favor of conventional medicine and against integrative or natural medicine. So laws often trample doctors’ natural right and their patients’ right to choose the healthcare options they prefer. Recent legislation introduced by Sen. Durbin and the FDA’s disastrous NDI draft guidance offer even more evidence of that—as if we didn’t already have enough! If you have not done so already, please follow these links to our urgent Action Alerts on the Durbin bill and the NDI draft guidance. Your access to supplements could depend on doing so. Despite this, the FDA has approached individual doctors and threatened them with legal action if they continue to prescribe or use anything other than an FDA-approved drug or a drug being investigated under FDA procedures. For example, doctors legally using bioidentical hormones made by a local compounding pharmacy in their practice have been been intimidated by FDA officials who send a letter or demand a visit. FDA employees may also demand to see the doctor’s books or patient records, none of which is proper. The doctor may also worry that the FDA is in contact with medical insurance companies or the state medical board. The federal government has also gained more and more control over individual doctors by paying their bills through Medicare, Medicaid, the Veterans Administration, etc. 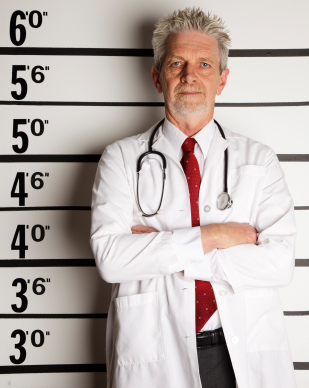 Federal law makes fraudulent billing a felony that can land a doctor in jail. This sounds fair, until one realizes that the federal government may interpret a natural health treatment as a fraud simply because it is not conventional. In this way, medical care has become criminalized and any doctor who accepts a government payment may be facing a jail sentence. This is further complicated by the fact that a doctor who contacts Medicare and asks if a treatment is acceptable under notoriously uncertain and unclear government rules may be given completely different answers by different Medicare employees. But whatever the answer given, that answer does not represent an acceptable legal defense. A doctor may therefore check with Medicare, proceed in good faith, and still be threatened with jail. Doctors faced with jail may agree to consent decrees with the government that govern everything they do and require them to fill out unbelievably burdensome reports. In order to fill out these reports, they may also be required by current government employees to hire former government employees at very high fees to help them do this. This aspect of federal supervision has been likened to a racket, which it often is. Doctors must also be careful not to talk among themselves about the low reimbursement rates they are receiving from government agencies or decide to drop out of Medicare together. This can result in a charge of price-fixing under the Antitrust Acts and also lead to draconian consent decrees or worse. In 2010 we wrote about a case in which the US Department of Justice, together with the Idaho Attorney General, charged a group of Boise orthopedists with a criminal violation of the antitrust laws for discussing what to do about the very low fees offered by the State Workers Compensation Program. They were intimidated into signing a ten-year consent decree agreeing to accept the Idaho Industrial Commissions’ price controls. News accounts also suggest that the doctors were “persuaded” to hire a high priced lawyer who until recently worked for the same division of the Justice Department that was suing them. Is it any wonder that doctors today increasingly live in fear—whether fear of lawyers, insurance companies, or the government—and many wonder why they ever chose this profession in the first place? Few people realize that in Kentucky, doctors cannot discuss chelation therapy with their patients or else they are subject to revocation of their license. Indeed, almost all Kentucky physicians who use alternative therapies have been either forced out of state or forced to desist from using alternative therapies, especially chelation therapy, because it “departs from prevailing practice in the State of Kentucky.” In other states, pediatricians face the loss of their insurance reimbursements if they fail to vaccinate all their patients. While federal law is supposed to regulate the marketing and advertising of non-conventional treatments in interstate commerce, state laws describe what may or may not be allowed within the states themselves. Many states have adopted the same language as the federal code, in whole or part, to govern intrastate commerce. For example, many states have nearly identical definitions for the adulteration and misbranding of drugs as the ones in the FD&C, definitions that have little or nothing to do with what the words “adulteration” or “misbranding” actually mean in plain English. At least thirty states have passed laws pertaining specifically to cancer, and a few of them have provisions for regulating non-conventional cancer treatments. Cancer laws provide for a variety of activities, including organizing and providing resources to combat the disease, establishing registries and advisory boards, and assisting patients in paying for the treatment. Some laws specify that cancer can be treated by only certain categories of licensed health professionals. Others authorize that the state health agency must approve cancer treatments before they can be used within the state. For example, the California Health and Safety Code specifically prohibits the sale, prescription, or administration of a drug, medicine, compound, or device to be used in the diagnosis, treatment, alleviation, or cure of cancer unless it has been approved by the FDA or by the California Department of Public Health. The bias against complementary, alternative, or integrative medicine in state governments is strongly reinforced by professional organizations like the American Medical Association. The AMA, which represents only about 13% of US medical doctors (even the AMA claims only 26%, but up to half that number are residents and medical students, who get big discounts on membership and a free subscription to a journal when they join), also has a seeming stranglehold on the Federation of State Medical Boards, which in turn greatly influences the state medical boards themselves. All of these forces in turn influence insurance reimbursement policies, in most cases denying any reimbursement for alternative treatments and therapies. But nonpayment is the least of an integrative doctor’s worries. Of greater concern is the likelihood that the insurance company will send a complaint to the state medical board, or encourage a patient to do so, in order to shut down a doctor and avoid any future payments along similar lines. For this reason, many integrative doctors refuse to accept third party insurance. Even that tactic doesn’t always work, because the patient may send the bill to the insurer anyway, and the insurer may retaliate even though the doctor is not seeking payment. A number of states have laws requiring informed consent, to give patients more responsibility over the therapies they choose. Who can treat you is also determined by state laws. All state legal codes include medical practice acts which define the practice of medicine; stipulate the requirements for licensing health care practitioners; describe the conditions that can lead to disciplinary action; and provide for a medical board that is in charge of oversight. Much of what doctors do could be done by highly trained nurses and other personnel, but the AMA in particular lobbies the legislatures to stop this sensible cost-saving reform. If federal legislation to insure the uninsured succeeded, everyone knows that there would not be enough doctors to service the demand, and prices would explode without such reform. Many states do not have licensing options for naturopaths, homeopaths, acupuncturists, etc.—and so the legality of how and what they can practice is uncertain and varies. But MDs must be licensed before they may legally practice medicine in the US. And when their procedures fall outside what is generally considered “standard” medical practice (even when it is a higher standard of care), physicians who offer non-conventional treatments may become vulnerable to investigations for medical incompetence, or unprofessional behavior, or alleged violations of state or federal laws; a guilty verdict may result in fines, injunctions, loss of license, or even jail sentences. This vulnerability is frequently heightened when the topic is cancer. Since the medical standard of care for cancer is chemotherapy and radiation, deviating from this standard can often be tricky, and state medical board attacks on integrative practitioners are all too common, and state medical board misbehavior is not uncommon. You may recall our article about the Texas Medical Board’s attack on a leading researcher and clinician in the field of environmental medicine and chemical sensitivity. Happily, the doctor still has his medical license (after three years in court), but it was a long battle. Then there’s the all-too-typical case of Mark Geier, MD, a critic of using Thimerosal (a form of mercury) in vaccines, especially for children. His criticisms and revelations became a major thorn in the side of vaccine companies. In April of this year, he received a letter telling him that a secret hearing had been held by the Maryland Board of Physicians, and they had decided that he was “a danger to the public.” Because of that his license was being immediately suspended. At a hearing in May, neither Dr. Geier nor his attorney were allowed to examine any of the state’s witnesses (the state refuses to release their names), nor would they be allowed to produce any witnesses or testimony of their own. In fact, at no time before either of the hearings would the Maryland Board of Physicians tell Dr. Geier precisely what he had been accused of. The case is ongoing. A key resource outlining state law is ANH-USA’s free 80-page report, “Know Your State’s Medical Board: An Integrative Medical Practitioner’s Guide to Understanding the Legal and Regulatory Environments in the 50 States.” Download it today! Being a natural health physician is the highest legal risk profession we know. Because of this, we all owe a great debt of thanks to those brave physicians who persevere because of their love for medicine and genuine desire to help people. Part Two coming in a future issue. We’ll continue this discussion with an overview of federal law as it pertains to sellers of food, supplements, and medical devices. Stay tuned!